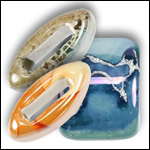 Beautiful ceramic beads for flat leather bracelets and jewelry designs. 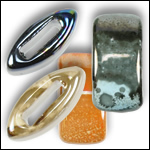 We offer 5mm, 10mm, and 15mm wide ceramic beads that fit our 10mm flat leather. These beads sit nicely on the wrist and can be combined with flat leather sliders or rubber o-rings to make stunning bracelets. Due to the handmade nature of these beads, sizes can vary. CERAMIC BEADS ARE FRAGILE. Please do not force them on to your leather if they are not fitting, as they will break. Do not drop or strike these beads as they may break. 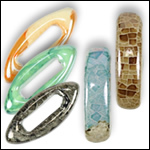 Color glazes are applied by hand, coloration and pattern will vary from bead to bead. 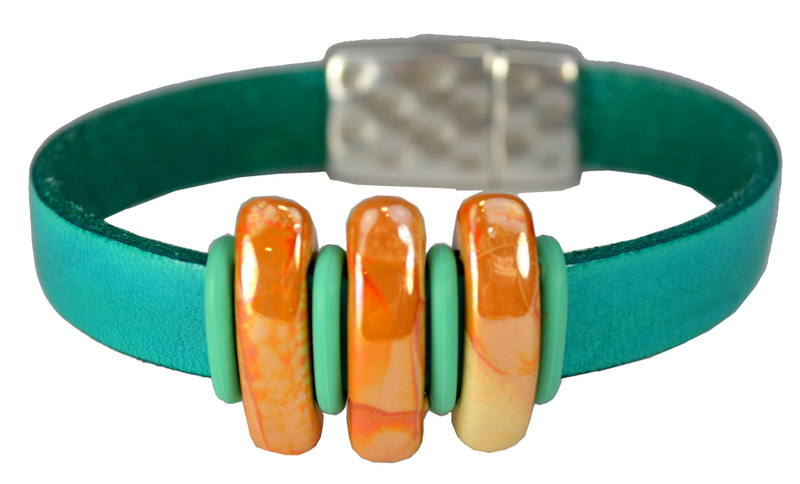 These ceramic beads are truly unique and will add a touch of color to leather bracelets!